Were The Crawfords Knights Templar? Legend says Robert de Bruce was helped by Knight’s Templar at the Battle of Bannockburn. Here is my friend’s mother who descends from William Wallace. I am the first to connect John Darby and the Plymouth Brethren with Robert Bruce, William Wallace, and the Knights Templar. Portia died Wednesday, January 7, 2009, following a brief illness, at Charter House, her home for the past 24 years. She was born March 30, 1909, in Los Angeles, and spent her childhood years in Sierra Madre, California. After graduating from Pasadena High School in 1927, she earned degrees in childhood education from Occidental College in 1929 and the Froebel League School in Childhood Education in New York City in 1930. In 1931 she earned a degree in primary education from Broad Oaks School, Whittier College. In 1931, after teaching kindergarten in Phoenix, Ariz., she and her sister, Lucile, founded a nursery school, the “House at Pooh Corner,” in Palo Alto, Calif.
On Jan. 2, 1932, she married Kendall Brooks Corbin in Carmel, Calif. The couple moved to Rochester in 1946, where her husband entered clinical practice as a consultant in neurology at Mayo Clinic. 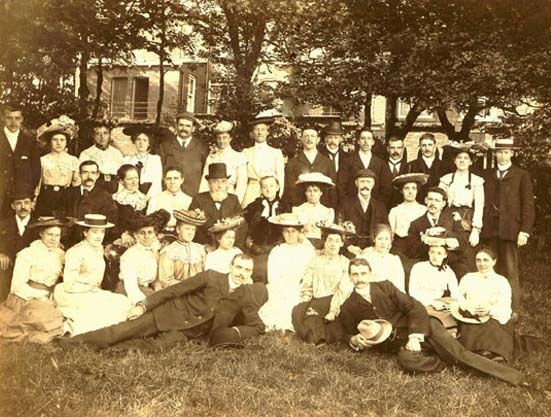 During the next nine years, Mrs. Corbin was affiliated with Aldrich Memorial Nursery School in Rochester, first as a board member and later as vice president and president. A second major activity was her long-term involvement with the Rochester Art Center, on whose board she served for nine years, and was its president in 1969 and 1970. 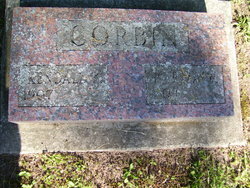 She was survived by two sons, Kendall Wallace (Susanne) Corbin of Eagan, Minn., and Edwin Malcolm Corbin of Eugene, Ore.; five grandsons, Kendall Bruce Corbin and Ian Andrew Corbin (and their mother, Jane Hammond Corbin) of Minneapolis, and Cosmos, Freeman and Eden (and their mother, Kathryn Corbin Parker) of Eugene; three great-grandchildren, Marcus, Sylvia Fay and Griffin Corbin; and a niece, Joan Popenoe. She was preceded in death by her husband on July 22, 1999; her parents, Emilie Susan (Cavenagh) Wallace and Robert Bruce Wallace; two sisters, Winifred (Barton) and Helen Lucile (Popenoe); a niece, Sydney Barton (Robinson); and a nephew, Frank Popenoe. The fight with the English took a severe toll on the Wallaces and Crawfords. William’s father and both brothers were killed by the English. Most his maternal uncles and cousins likewise lost their lives. The heritable position of Sheriff of Ayr and the title and lands of Loudoun passed on to the Campbells with the marriage of the heiress and last survivor of the line, Susanna Crawford, daughter of Sir Reginald, the Fifth Sheriff of Ayr, to Duncan Campbell. Hugh, an uncle of Susanna, does appear to have survived, or at least one of his offspring did, and it is into this line that the Crawford Chieftainship passed. Hugh Crawford also was the progenitor of the Crosbie line. For his valor at Bannockburn he was rewarded by Robert the Bruce with a heritable grant, being given the estate at Auchenames, which became the residence of the Crawford Chiefly line and gave its name to that cadet. The Mormons and Evangelicals have been bitter enemies due to the differing visions they own for America. But lately, they are chilling out with one another so they can take on their real enemy, Secular America, and Secular Government, that they both believe has to be relieved of power so Jesus can do his thing. One thing that really interests the Mormons, that the Evangelicals could care less about, is Genealogies. However, that might change after I inform the LDS research center that I am close to a family who descends from members of the Plymouth Brethren, King Malcome, William Wallace and Robert Bruce! A religious cult has taken control of our Congress, and is attracting the votes of Orthodox Jews. Tonight I will be having dinner with my good friend, Mark Gall, who is a Jew. I used to take Mark’s mother to synagogue when she lived in Eugene. I may be the only Gentile at this dinner. Mark is in the bottom photo sitting next to our good friend, Ed Corbin, who married a Jew who was married to a member of the Rockefeller family. 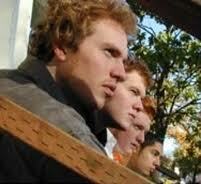 Ed and Mark attended Harvard at the same time, along with Tom Jones who was married to a Schlumberger. Ed’s ancestors on his mother’s side were important members of the Plymouth Brethren who gave birth the Evangelical cult who want to control the world. Ed’s father suspected his daughter-in-law was a Cohen. If true, this would make Ed’s three sons, descendants of the priests of Israel. We are attending the showing of Cosmos Corbin’s film at the Hult Center with Bohemian types, some who were the Corbin’s homestead neighbors. As I glanced at it the name Plymouth Brethren caught my eye. evangelical religion – and establishing a evangelical hegemony! Vatican document, a genealogy pf the founders of the Catholic church. Darby who was a Plymouth Brethren, and a good friend of John G.
There are two men whose names were a clarion call to all Scots. Robert the Bruce, who took up arms against both Edward I and Edward II of England and who united the Highlands and the Lowlands in a fierce battle for liberty: and a humble Lowland knight, Sir William Wallace. Robert was deceased before his father David died 3/6/1930. There are disagreeing sides to the claim that Robert the Bruce, King of Scotland, had help from the disbanded Knights Templar. Most of the evidence points to the Battle of Bannockburn in 1314 in which Robert defeating the English led by the now inept King Edward II. 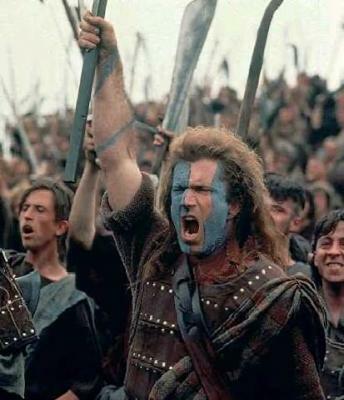 Most of Hollywood focuses on William Wallace in the battles he led against the English during this time. Hollywood, however, gets many things wrong. 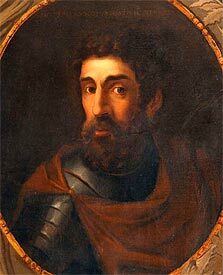 For more info on the history of the battles and of William Wallace, read here. Many claim that Robert the Bruce was not a great military leader and could not win his own battles without help. They point again to Wallace having to lead the charge against the English to get the Bruce to this point, and that Robert had failed a reported six times and had nearly given up before the seventh time when he won. 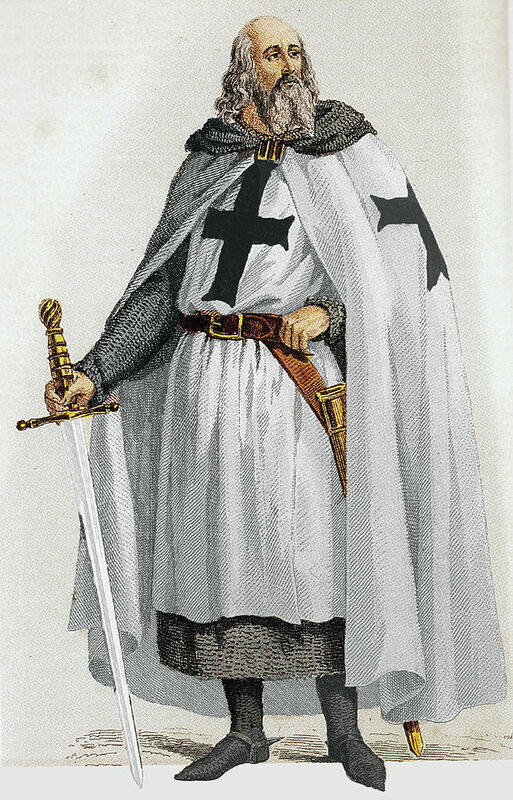 In a book A to Z of the Knights Templar by Gordon Napier, he claims the since the Bruce was excommunicated by Pope Clement V for killing John “the Red” Comyn, he then looked favorably upon the Templars and gave refuge to them when their order was disbanded in 1307, seven years before Bannockburn. It is also noted that all of the trials of Templars were not held in Scotland, but rather south of the Firth of Forth, in English controlled territory. We may not know for sure, as the Knights Templar is a very mysterious group after disbanded and their secrets may never be fully revealed as to what extent they may have helped change the world.